Until recently, going without alcohol has been a tough ask, mainly because of the lack of genuine alternatives. But these days, with the flood of amazing alcohol alternatives arriving in shops across the country, it’s quite easy to swap out the frustration for a sense of adventure. The modern drinker, no longer determined to have a beer or wine with every meal, can set out on an exploration of new breweries and intriguing flavours. 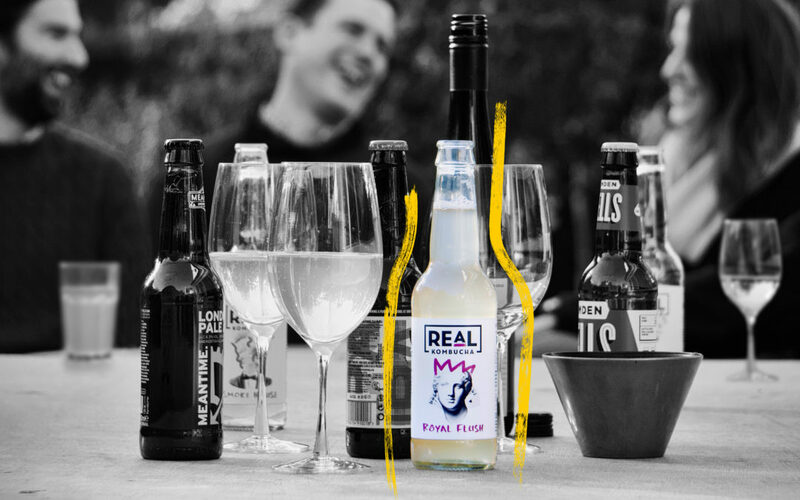 There are some amazing options out there, so this week we thought we’d have a look at the world of non-alcoholic cider alternatives. “Non-alcoholic cider alternatives” is a bit of a mouthful, certainly, but there’s a reason for that added last word. When people are looking for non-alcoholic drinks, there’s a tendency simply to look for the most obvious replacement. 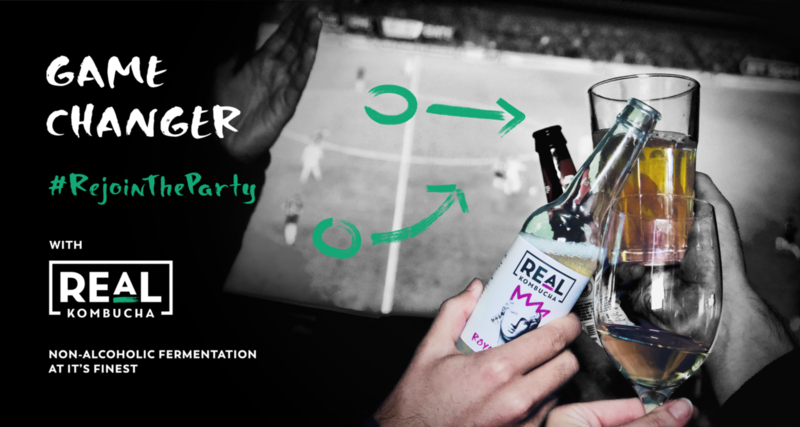 Non-alcoholic wine, non-alcoholic beer, non-alcoholic cider – these are all straight swaps. 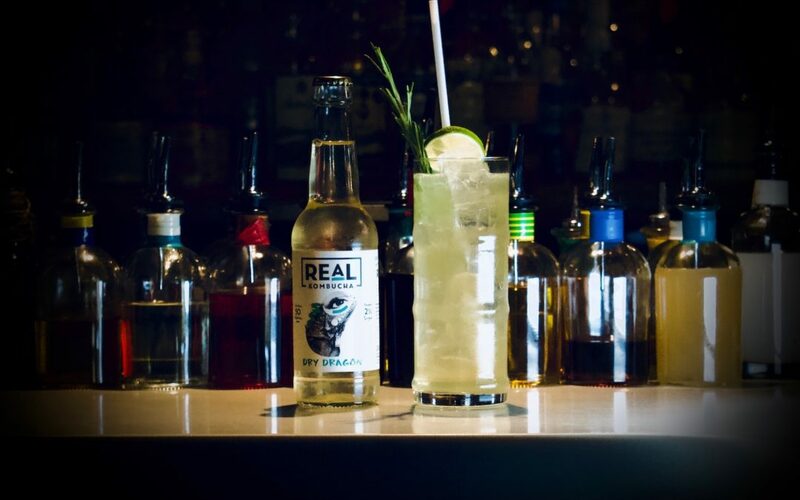 As modern drinkers ourselves, we’re keen to look beyond that habit and find things that offer an amazing taste experience in their own right. Take, for example, our Smoke House. This isn’t a non-alcoholic cider, and we wouldn’t ever claim it was. But there’s something about it that hits a similar spot to a nice drop of scrumpy – so much so, in fact, that when a former senior manager at one of the UK’s biggest cider brewers came to chat to us at a festival last year, he found it hard to believe he was drinking something different. Why wouldn’t we claim it’s a non-alcoholic cider? Quite simply, that’s because it’s a kombucha. As with all our brews, we haven’t added any flavours to it. The delicious caramel and apple notes, as well as the acidic bite that you’d commonly associate with a cider, are simply the result of carefully brewing and fermenting a certain kind of rich, smokey tea in tried and tested conditions. 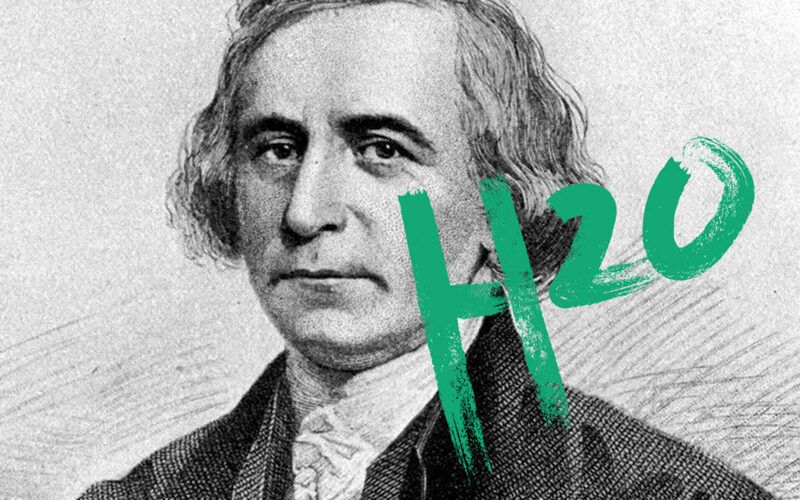 Of course, you wouldn’t know any of this unless you tried it, and it’s that kind of experimentation and exploration that really appeals to us about the world of the modern drinker. We brew for open minds, after all. That said, we understand that many people have a particular idea of what they want from a cider, even if it’s a non-alcoholic cider, and so here are a few favourites that we’ve found on our journey. We’re launching a brand new Low Alcohol Classic Cider just in time for summer! 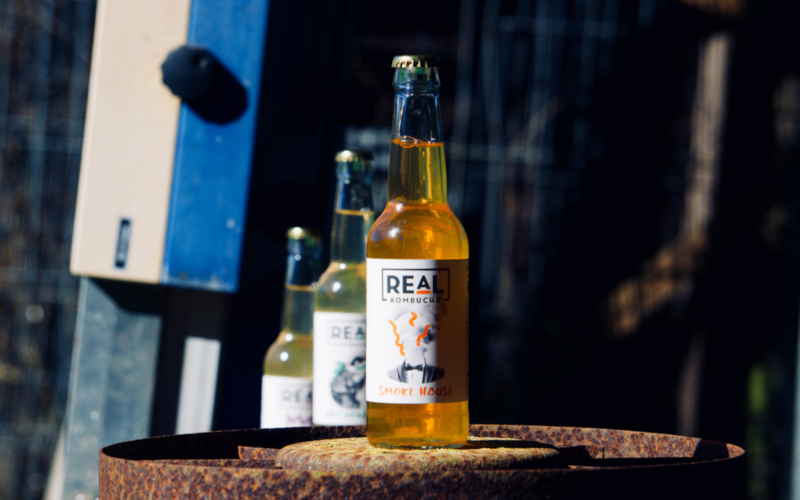 We were lucky enough to discover this delicious non-alcoholic cider at a festival last year when we swapped a couple of bottles for a bit of muscle (they were having trouble with an oversized fridge… it’s a long story). One difficulty we’ve found with some so-called non-alcoholic ciders is that they tend to taste like fizzy apple juice. Not so with Sheppy’s. There’s that bite that we mentioned earlier – that sense of something having been brewed rather than mixed. This is a regular addition to our fridge, but where do you find it? We usually get ours from the Dry Drinker website. Well worth stocking up on for a sunny day. What marks a good non-alcoholic cider from a glass of Appletiser is the level of sweetness. 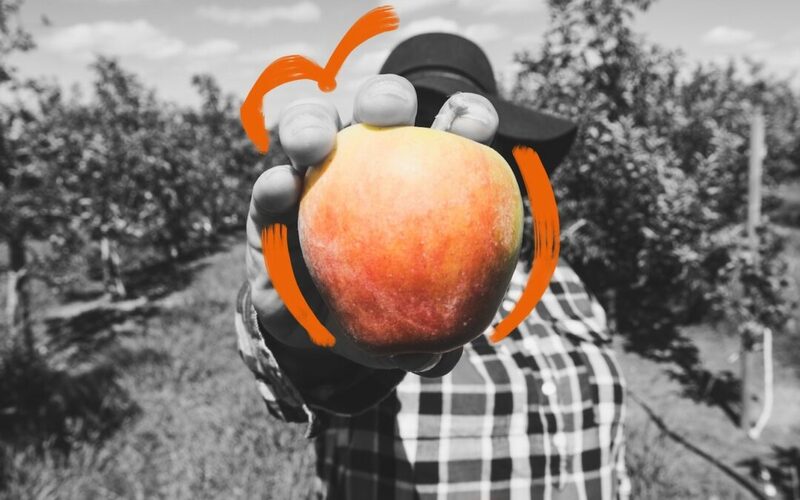 Stowford Press have been making cider since 1878, so they know a thing or two about what tastes right, and here they’ve hit the sweet spot (excuse the pun) in terms of sugary balance. Wonderfully crisp and refreshingly unsweet, a bottle of this also comes in at only 81 calories. Not quite as low as our Smoke House (less than 50 cals per bottle), but on the right lines. Again, we tend to get ours from Dry Drinker. You can find it here. When it comes to this Dutch non-alcoholic cider, we’re particularly taken with the fermented apple taste – again, something that really sets it aside from a traditional soft drink. There’s a hoppiness to it, too, and the oak finish gives it a complexity that really pleases the palate. Another one that clocks in low on the calorie counter, if that’s your thing. Only 79 cals in this bottle. You can find Braxzz non-alcoholic cider here. For those that like their cider a lot lighter and sweeter, try this juicy option from North coast of the Spanish Pyrenees. A traditional Basque cider, this comes from a 3-generations old brewery working out of their own orchard. Very popular in Spain, it is brewed in an apple and a peach flavour. Something for a sun-splashed drinking occasion. We get our Good Cider from Light Drinks. You can find it here. Got any other non-alcoholic cider recommendations? Drop us a line via our Twitter, Facebook or Instagram channels to let us know. First and foremost, our blogs and our podcasts are an attempt to document the adventure we’re on. 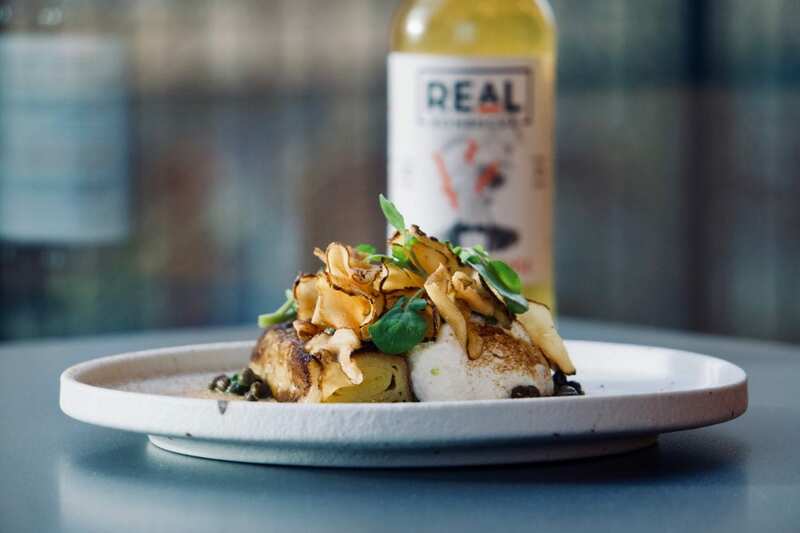 We launched Real Kombucha in the early autumn of 2017, and it has been a wonderful journey so far. We’ve met some fascinating, passionate people along the way, so we use our digital platforms to help spread their word, too. These people are experts in their field, so it’s a real privilege to spend time with them, learning about what they do. So, for this podcast I came down to Bristol, and I have to be honest: there were three motives at play. Firstly, it was to find out about the booming vegan and plant-based food scene that has found a home in these parts – so booming, in fact, that articles across the web last week claimed that Bristol had more vegan-related Google searches than anywhere else in the world. Secondly, I wanted to get inside the mind of some of the chefs serving that plant-based scene – to find out how veganism might represent a wonderful form of constrained creativity. And thirdly I wanted to cheekily eat some of their amazing food. Well, wouldn’t you if you had the chance? It’s at Suncraft that I began, sitting down with James to ask him about those Google results. Some reporters went as far as to say that Bristol was now the recognised vegan capital of the world. Did that surprise him? James: To a certain extent, yes, because it still feels very young and formative, but I suppose that’s similar all over the world. 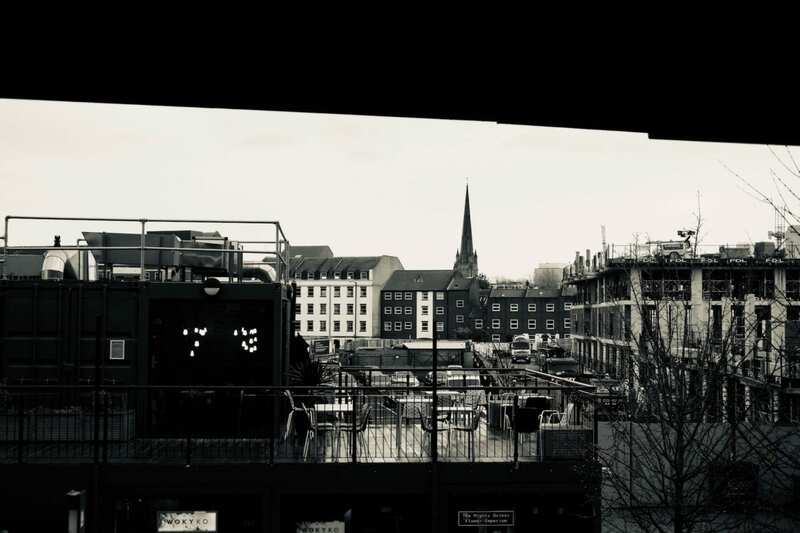 Bristol itself, I’ve been here for 22 years and the more it gets under your skin, the more you get under its skin, and you realise it is a slightly peculiar place relative to the UK and the rest of the world in its politic, probably. It’s quite a liberal republic society here – very progressive. The sort of things that push people towards an interest in veganism, such as animal welfare, the environment and personal health – they’re all things you see here. Over at Box-e, Elliot and Tessa Lidstone agree. Elliott: It certainly feels, since we’ve opened, there’s been more of a trend to vegetarian and vegan eating. Definitely. Tessa: I think the nice thing about it is that people are very interested in where their food comes from. So, whatever it is that they’re eating – vegetables, meat or fish – we get a lot of customers ask us where we get our produce from… which I like, I have to say. I like that people are a bit more self-aware. I’m aware, of course, that I’m talking here to people that cook an awful lot of vegan food. 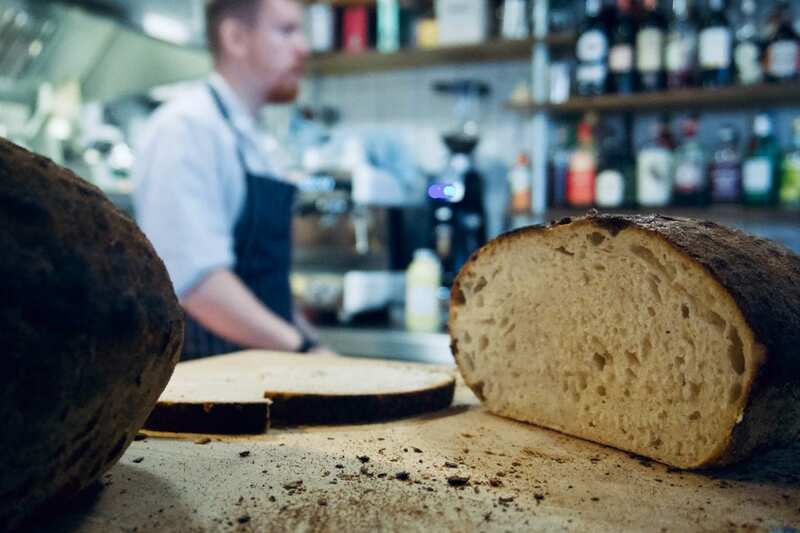 I wonder if perhaps their views are skewed, so I head next door to Root, where I find Chef Rob Howell glowing over a freshly cooked sourdough. I wonder if you’d find a keen reception if you were to ask your average Bristolian on the street about being vegan. Rob: It depends which street you’re walking on! [Laughs] I think so… I really think so. It’s the same here with my diet. I’m not a vegan in any sense. I love my meat and fish, and in the last couple of years I don’t eat a quarter the amount of meat or fish that I used to. [Veganism] is great here for staff food, too. At the moment we have ox tongue, and that’s all the meat we have. Where I used to work, staff food would always be trim or minced meat or some sort of curry you’ve made with trim. Here, all we have is vegetables. It’s nice . You feel better for it. I think that shows in Bristol, in the UK, even. Slowly but surely, people are understanding that we don’t need to have a massive piece of meat with every dish. It makes sense. As someone who has flirted with vegetarianism and veganism for the past 20 years, it’s clear that there’s been a vast sea-change in the way people think about these things, and one that seems to have become fairly mainstream fairly quickly. Rob himself has seen it firsthand. He tells me that when the restaurant launched only a couple of years ago, he was putting four meat dishes on the menu each day. Two years later, that has fallen to one. Rob: I felt the need and demand for the meat dishes wasn’t there. We’d have them on and not sell even one a day when we were doing fifty or sixty covers. We went down and down [on the meat dishes], and now I think people come because it’s vegan. We have parties with big tables and they come because there’s vegan options. Especially at Christmas, people would choose us because out of 10 friends, four would be vegan. And if you’re assuming that it’s an older, traditionally left-leaning crowd that is embracing this move towards a more vegan, plant-based lifestyle, then James Koch has news for you. James: From early on, we recognised that we wanted to distance ourselves from (and there’s nothing wrong with it at all) “hippy culture” and political veganism, and that this is something that is, if it hasn’t already, going to go into the mainstream for good reason, and there’s no need for us to be hard on the politic about it. So, it’s an option for good, healthy food that happens to be vegan, and certainly it’s a very broad demographic of people that we have in here. Head chef Jilisa Barnaby has some exciting dishes in the pipeline for you – If you see her say hi! Thanks Jilisa ? ?? Funnily enough, when we were doing some research on it, we went down to a restaurant in London. One of the things I was really blown away by was the demographic in this place. It looked like it was 14 to 20, and it was just really buzzing. I was talking to the kids in there, and they travel from the other side of London to be there. I was expecting it to be similar here [in Bristol], but it’s very, very broad – from a younger demographic that are interested in their health (and it seems to be the same with younger people: less smoking, drinking, taking drugs, so it stands to reason that diet might be in the mix with those things); from younger teenagers to past retirement. Over at Box-e, Tessa agrees. 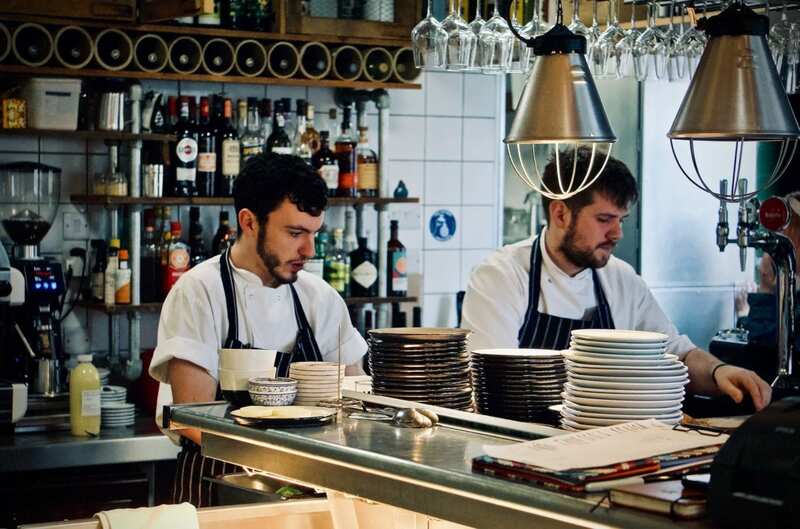 In fact, it’s a key part of the ethos on which their restaurant thrives – an ideology that you might call ingredient-led rather than chef-led. It feels like a wonderfully ego-less, humble way of cooking, and I have to say, I love it. Tessa: The cheesemonger that we use, she pretty much exclusively sources cheese from the neighbouring counties. But you think how much amazing cheese is produced in Somerset, Dorset, Gloucestershire – literally just a stone’s throw from where we are. It’s the same with vegetables. There are so many beautiful vegetables produced really close. There are big fruit farms like New Cross Fruit Farm that grow loads of asparagus. We get quite a lot of customers come in who have allotments and they’ll give us produce that they’ve got too much of. My dad has an allotment as well, and he’s always given us spare produce. People like the fact that we’re a small restaurant and they know that Elliott changes the menu regularly. If something comes in that’s super fresh, or our fishmonger or our veg supplier says, “We’ve got this at the moment and it’s beautiful… do you want some?” we’ll say, “Yeah! Let’s do that!” It’s almost working the other way around. Instead of Elliott saying, “I’m going to have this, regardless of whether it’s ripe or not in season yet”, we kind of do it the other way around. We’ve got a nice relationship with a lot of our suppliers in that sense. 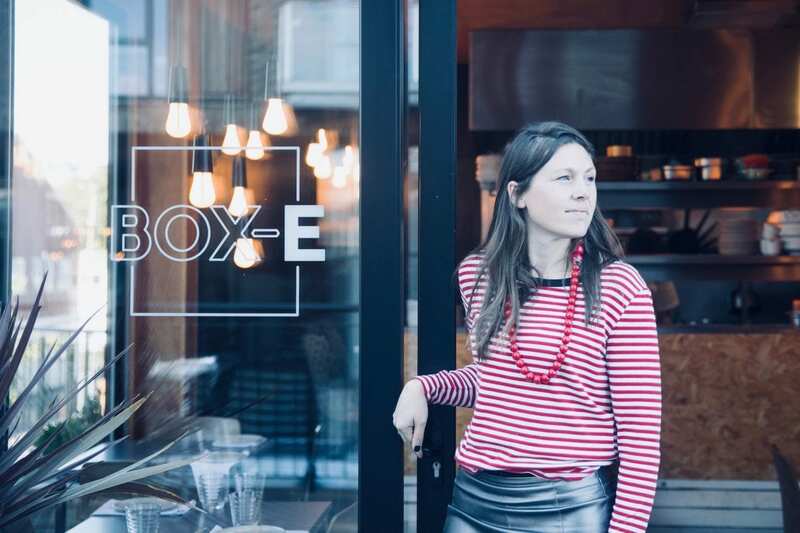 Does she think that expands beyond the glass walls of her shipping container restaurant? Tessa: There was perhaps a point where people thought, “Oooh, we can get strawberries 12 months of the year. Isn’t that great!” And then they took a step back from it and thought, “Actually, maybe it’s not that great.” It’s kind of like the rise of consumerism saw that possible, and so people did it because it was possible. Now it’s like, “Just because we can get strawberries 12 months of the year doesn’t mean we should.” So, people have kind of reached the boom and then got back from that slightly. And then I think things are enjoyed more. Yorkshire forced rhubarb has just come into season, and it’s like, “Woah!” It’s exciting to have that on the menu, and we’ll have it for as long as we can get it. Asparagus! How lovely to have asparagus for that small period of the year when you can get it. It doesn’t mean that for the rest of the year I’ll buy it from Peru. I kind of savour that moment when you can have something that’s really tasty, grown fairly local to you. You kind of enjoy that more. So, we’ve talked a lot about how veganism is opening minds and bringing people together, both in Bristol and beyond. Eventually we have to stop talking, though, and start digging in. I see this as the ideal opportunity to get a bit cheeky and ask for a bit of free food. Elliot steps up to the plate, literally, pulls on his apron and talks me through light but luscious dish, the photos of which you can find on the blogpost accompanying this podcast. As he cooks I wonder aloud about how he found his way into the chef life. 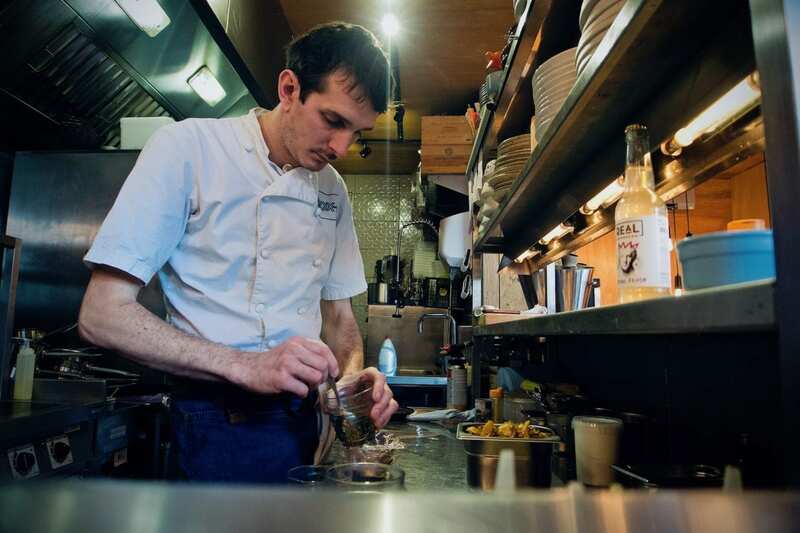 Elliott: I’ve always been into food anyway, and I used to do a lot of scouting – I used to go to scout camps, so obviously I used to cook there and for people as well. So I realised that, actually, I quite enjoyed cooking for people, not just cooking in general. And after that I knew that the direction I was going to go in was catering, so I went to catering college and went from there, really. But yeah, from being in the Scouts I think really cemented my idea that I was going to do something with food. What’s secret Scouting flavour combination? Bolognese was standard, but I always used to bring some bits and bobs from home to tart it up a bit. The secret weapon? An Oxo cube! So, is there a sense of restraint that comes with preparing vegan dishes as a trained and celebrated chef? 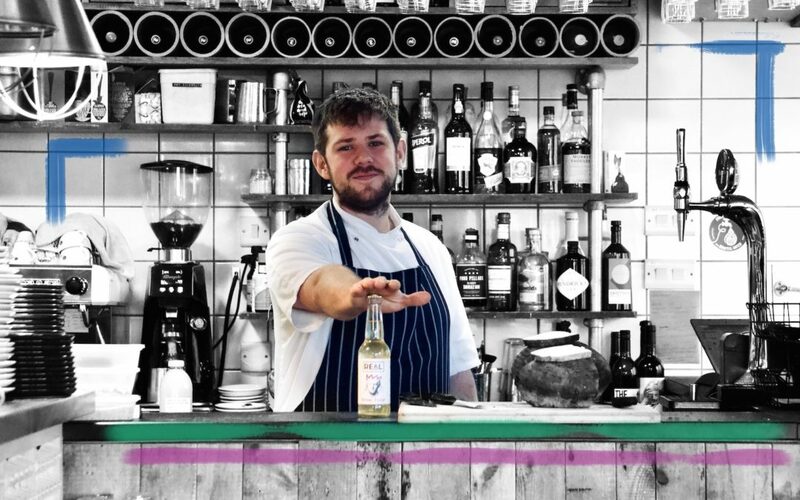 Rob Howell recalls his apprehension on the day Josh Eggleton, the owner of Root, asked him to think vegetables-first. Rob: When Josh Eggleton first said about it, I was a little bit unsure. My background is that I’ve worked in three very good fish restaurants, so my background was fish before working at the Pony & Trap for five years. Vegetables wasn’t my forte, as such. It’s been amazing. Starting in the kitchen, equipment-wise, we had nothing. We still do. I said to Josh, “I need a vac pack machine; I need this, that…”, but you don’t need any of it. When you strip it back it’s more exciting to go back to basics. We’ve got a couple of inductions and a chargrill and we do absolutely fine. Back at Box-e, Elliott muses on the same question. Elliott: I think it’s being sensible and looking back, and not just concentrating on an ingredient. It’s so easy to put cheese or dairy into something without even thinking, as classically trained you would do. So, whenever I do something vegetarian or vegan, I take the main component of whatever it might be and work back from that and try and make sure that everything harmonises – not having a dairy or meat product as a substitute for something. Every season has its own wonderful vegetable or fruit, so it’s just about taking whatever’s around at the time and really emphasising that. Once again, it’s about reaching for what’s around you and keeping an open mind. Tessa agrees. Meanwhile, Elliott has finished cooking my lunch, so I ask him to talk me through what he’s put together. Elliott: I’ve just cooked you a roasted leek with goats curd, capers and some Jerusalem artichoke crisps. Leeks are lovely at the moment, so I really wanted to do something with them – starting off with them. If you steam and then roast them, you get that lovely caramelised flavour. I also wanted something with a bit of tartness, so the goats curd is lovely – you’ve got the creamy, lactic flavour of that. And then the Jerusalem artichoke crisps have got that lovely texture to them, and the leek is soft, you’ve got the texture of that as well as the goats curd. The capers bring another acidity to play as well. It all kind of works together. In my head I can taste all the bits individually, then think what would work with that texturally. Once you put it on the plate and taste it, you’ll know what might need tweaking – more acidity, less acidity. It’s just experience, I think. It’s like if you make music: if you can play the piano and don’t have to read music, you just know what’s going to work. It’s similar to that, really. It’s what you do every day, in and out. Second nature, I guess. I’m intrigued by this idea of a chef being able to taste things in their minds. Does Rob have that same culinary clairvoyance? Rob: Some of the dishes go on without fully sitting down and eating the dish as a whole. You know the elements. Sometimes you’ve just got to go for it. Some of the dishes we’ve created – the hispi cabbage with seaweed butter, pickled shallots and radish was literally a dish from when we first opened and we had nothing. We were really busy one lunch and we’d run out of so many things, I kind of chucked it together without thinking about it. A year later (obviously it has changed through the seasons) it’s still on the menu. Sometimes you just have to run with it, and sometimes you think, let’s taste this because it’s not the straightforward meat and two veg. We do try and… not push the boundaries; we’re not breaking any… not doing anything crazy new. The main thing is actually making food that you wanna eat, that’s actually tasty. Sometimes you have to put away your chefiness, trying to make it look its most beautiful. We’ve got some pakoras on the menu, totally vegan and gluten-free. We serve them with some salted plum and pickled plum, but to eat it’s just reminiscent of going to your local curry house… do you know what I mean? It’s not breaking boundaries, but it’s tasty and we’re busy and people like it, so it’s great. Now we’re on a roll. I love digging into the way that people access their creativity, so I pepper Rob with more questions. Where does he get his inspiration? Rob: It’s through not one thing, but many things. Social media has changed everything, cooking-wise. Sharing ideas… you’re seeing hundreds of dishes everyday on Instagram, and I think that obviously some are going to stick with you and you’re definitely going to take inspiration from that. You can’t possibly not. I love to eat out – I don’t eat out as much as I used to – but you definitely draw inspiration from that. It makes a massive difference when you go out and you realise what you like to eat, and then bringing that back into the kitchen. We went to Ivan Ramen and had a ramen there. It was amazing. We had a cauliflower dish with some koji butter, but it was like a curry sauce. It kind of stuck with me, so I came back and tried to make a really mild curry sauce…. I made a curry sauce but it’s totally vegan. I roasted it with a nut butter instead of using cream and I was really happy with it. You wouldn’t know it’s not like a chicken-based thing. We roasted some celeriac to riff off a curry dish. We were going to do some puffed rice, but we went for tapioca crisps. The salt-baked celeriac is like the chicken element in the curry sauce. We’re working on it now and it should be ready today. I’m really happy with that. Elliott is much the same, and I find it interesting that he likens the creative process to that of a musician. Elliott: It’s always at the back of my mind. Something’s ticking away, and I’ll always write things down. Trying to find the time to play with dishes is always the tricky part, so maybe I’ll scrabble bits together and do a prototype dish – maybe get some other people to have a taste of it and then go from there. So it’s always constantly ticking away. It never stops. As my time in Bristol comes to an end, I’m left pondering the city’s place in the burgeoning Vegan scene. Certainly, the rise in successful vegan Google searches would suggest that there’s plenty here for the growing community. Undoubtedly the city’s natural left-leaning politic has something to do with the ease with which that community feels at home, but there’s also a sense of pride that fans the flames and helps it to flourish. When Jay Rayner came to review Box-E, he spoke of something that he called ‘the defined Bristolian style’. I wonder what that might be, and it’s Tessa who has the final word. Great chatting with Jon from @realkombucha on his Bristol food tour today. 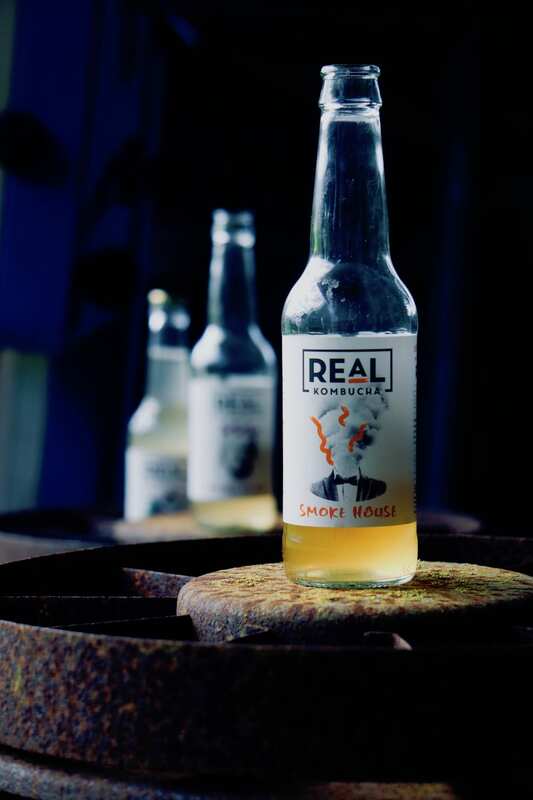 One of the finest in fermentation, Real Kombucha is a great low sugar soft drink for dry January and beyond (we recommend this Smoke House with our spicy Gochujang stew). Cheers ? 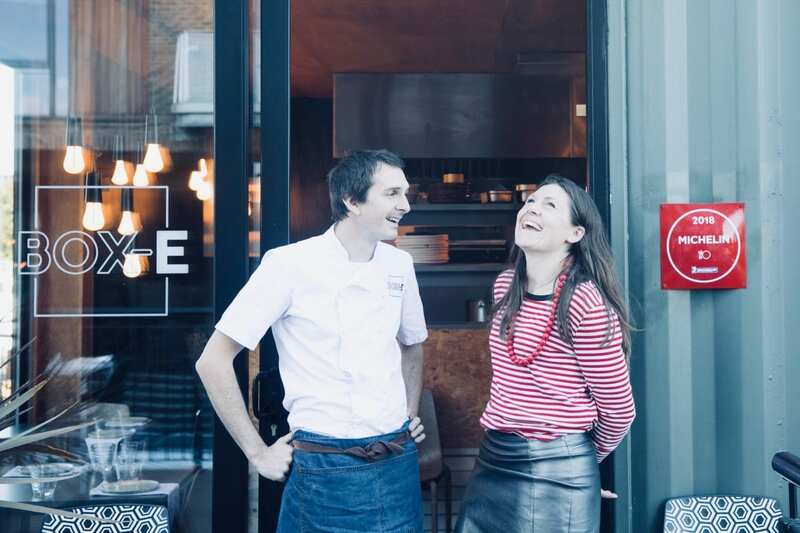 Our thanks to James Koch of Suncraft and the Gallimaufry, Tessa and Elliot Lidstone at Box-e and Rob Howell at Root. 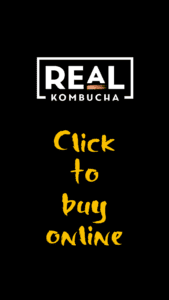 You can grab your Real Kombucha, brewed for open minds, from www.realkombucha.co.uk. Podcast music by Airtone. Ever tried a night off the alcohol? If a good drink is part of your typical evening out, it’s not easy. 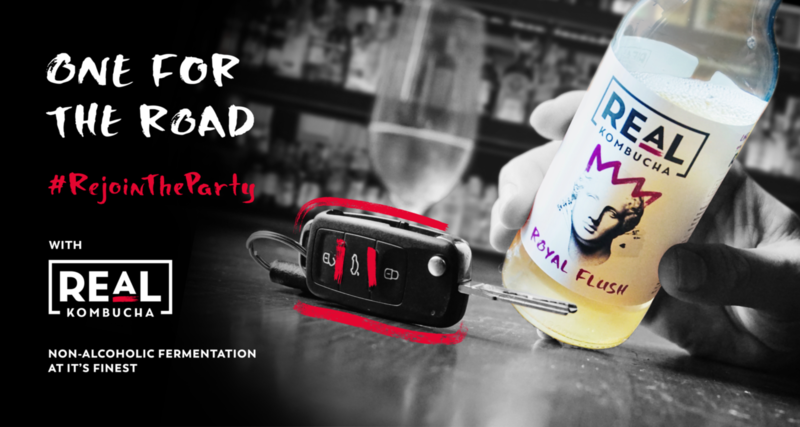 Whether you’re a designated driver, pregnant, taking on a sober month or simply having a night off, the choices you’re left with are usually packed full of sugar or served with a straw. We’re not asking for the height of sophistication here, but something non-alcoholic and adult-oriented might be nice. 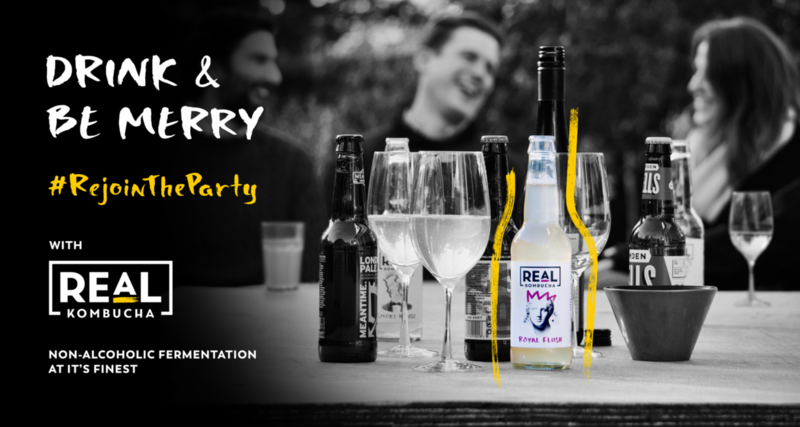 It’s for these reasons that we started brewing Real Kombucha, and for these reasons that we’re launching our Rejoin the Party campaign. We’ve been working with some pretty amazing pubs for some time – places like the Barworks Group that have noticed that people are drinking far less, far more consciously – and in the last couple of months we’ve partnered with Fullers and Laine’s, two huge pub chains that recognise the interests of what we call “The Modern Drinker”. 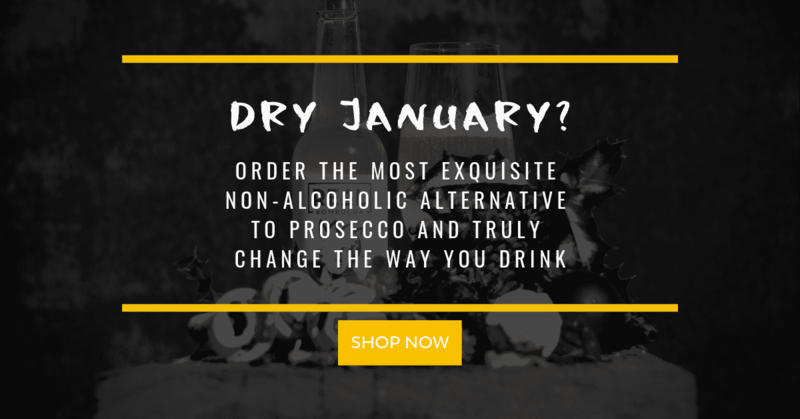 Modern drinkers are not necessarily teetotal, but they are looking for an alternative to alcohol to suit those occasions when they fancy something different. They’re looking for something with that complex, fermented flavour; something with a bit of a bite; something that pours like an adult drink, and something that avoids the usual sweetness. They’re looking for something that they can drink comfortably all night – something that keeps the party interesting rather than bringing the evening to a close. They’re also happy to live and let live. Any longterm non-drinker will tell you that there has been a peculiar tendency in this country to question any adult who walks into a pub and orders something other than alcohol. It seems that the UK is one of the few countries where you feel you have to apologise for not ordering an intoxicating substance! Thankfully, that’s changing. You’re far less likely to be asked “what’s wrong with you?” when ordering something non-alcoholic than you were even three or four years ago. Behaviours are shifting. People are changing the way they drink, in part because we’re more open-minded to different lifestyles, and partly because the options are opening up. Here’s what Mr Real Kombucha (David Begg) has to say on the matter. So how can you get involved and help people feel more confident about changing their drinking behaviour? Well, firstly, take a look at our Rejoin the Party page. You’ll find all the info you to help you find a pub that now caters to the Modern Drinker by serving Real Kombucha. You’ll also find a section that celebrates how you’re changing the way you drink. Tag your Instagram photos with #RejoinTheParty and we’ll share them with the world. We’re looking forward to seeing you out there.